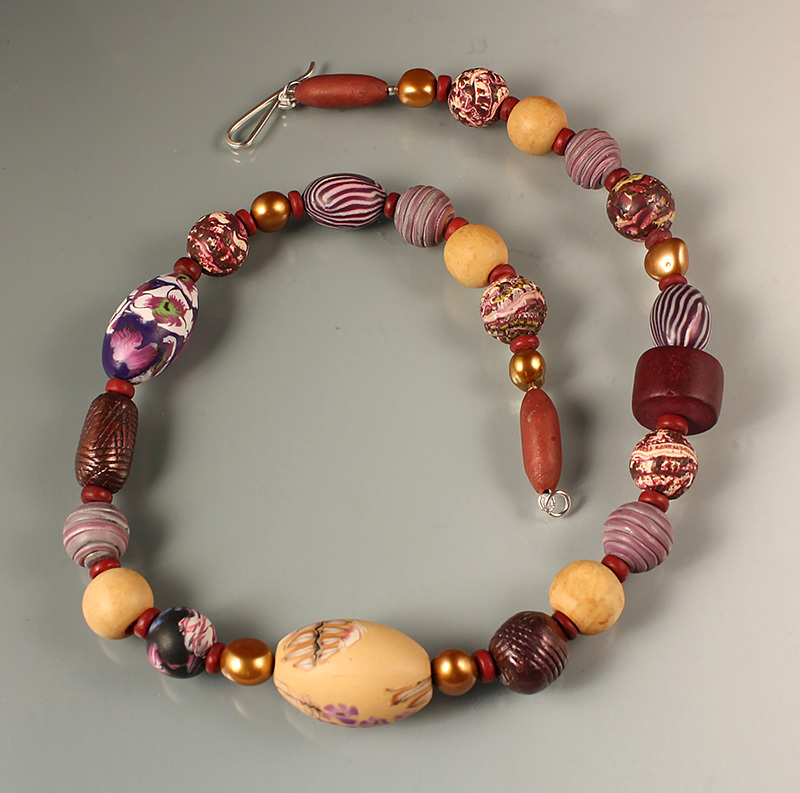 Mixed artisan polymer beads in shades of wine, with pearls, in a just-right length of 17.75 inches. Sterling silver artisan clasp. I made these beads over a period of a year or so, and found just the perfect pearls and wooden beads to make them the center of attention.